However, the defendants have fought the government at every step in the 18-month-old case, the judge said. Defense attorney Bill Quigley agreed. It’s not clear, though, how the lack of contrition might affect the judge’s sentencing of the three defendants. Tuesday’s four-hour hearing ended early because the federal courthouse closed due to snow. It will restart at 9 a.m. Feb. 18. The protesters and their supporters have suggested their actions are part of a tradition of civil disobedience that includes Martin Luther King Jr., Mahatma Gandhi, and Nelson Mandela, nonviolent protesters who feel compelled to act to change the status quo. In this case, Boertje-Obed, Rice, and Walli dispute the legality and morality of the nuclear weapons work that occurs in Oak Ridge at Y-12, including under international law. “People break laws to protest the injustice that the law is protecting,” Quigley said. The protesters and their supporters argued they committed their acts to prevent a perceived greater harm. But that doesn’t excuse their conduct, Thapar said. “The defendants believe the government policy is misdirected, but that doesn’t excuse the breaking of the law,” he said. Assistant U.S. Attorney Jeffrey E. Theodore, right, is pictured above after a May 2013 detention hearing for the Y-12 protesters at the Howard H. Baker Jr. Courthouse in Knoxville. At left is Assistant U.S. Attorney Melissa Kirby. Assistant U.S. Attorney Jeffrey E. Theodore said the protesters’ claims that they’re upholding international law are disingenuous. “They’re throwing out these arguments without being sincere,” he said. Tax protesters use similar logic regarding federal law, he said. He said it’s not reasonable to try to force disarmament given the country’s need for a nuclear deterrent. Theodore has recommended a sentence roughly in the range of seven to nine years for Walli, who is a 64-year-old Catholic worker from Washington, D.C.; six to eight years for Boertje-Obed, a 58-year-old painter from Duluth, Minn.; and five to seven years for Rice, an 83-year-old Catholic nun. Those recommendations are based on guidelines in pre-sentence reports. Supporters have pointed out that a six-year sentence could mean that Rice, who turns 84 this week, would turn 90 in prison. The trio was convicted in May 2013 of destroying U.S. property and attempting to injure national defense premises. They were immediately incarcerated. About half of Tuesday’s hearing, before it went into recess, covered the $52,953 in damages at Y-12 that the government said was a result of the unprecedented security breach, and the other half included four character witnesses who testified on behalf of the protesters. The cost estimate used Tuesday for the damage to Y-12 is about six times the $8,500 estimate used at trial. The government’s one witness, retired Brig. Gen. Rodney L. Johnson, who is Y-12 senior vice president and deputy general manager of security operations and emergency services, said the number used during the May 2013 trial was a “bare-bones” figure, and the new estimate includes overhead and personnel costs. “It’s the true cost,” Johnson said. 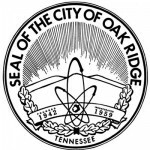 Johnson said about half of the $53,000 was for expenses incurred by B&W Y-12, the contractor that manages Y-12, and the other half was for costs incurred by former security contractor WSI Oak Ridge. B&W’s costs included materials and work performed by six painters, five carpenters, two truck drivers, a planner and supervisor, and photographers and videographers who responded to the breach. The expenses were related to documenting the damage and 19 miles of Y-12 fence line, repairing fences and sensors, using steam cleaners to remove graffiti from the HEUMF and nearby cement barriers, and cleaning up the blood while protecting workers and the environment from the unknown substance using a combination of masks, shields, coveralls, and booms to contain spills, said Johnson, who started working at Y-12 on Aug. 1, 2012, a few days after the security breach. The three protesters painted slogans and poured blood on a concrete wall at the edge of a system designed to catch intruders at the Highly Enriched Uranium Materials Facility at the Y-12 National Security Complex. He said about half of WSI’s expenses, or roughly $13,000, was for K-9 support during a 29-hour sweep of the plant with three or four dogs. Security personnel had to stay at the site longer than normal, he said. Besides those costs, the security breach affected Y-12’s mission and reputation and led to a 15-day shutdown, Johnson said. The plant had been known as the “Fort Knox of uranium” until the three protesters—armed with little more than bolt cutters and bread, banners and blood—were able to sneak in. Despite challenges by the defendants, Thapar accepted the roughly $53,000 in expenses and ordered the trio to pay it as restitution, finding the figure to be credible. Thapar agreed to waive interest and allow quarterly payments that are feasible. The restitution amount could be lowered later by certain credits, including, for example, if WSI was not reimbursed for certain expenses because of clauses in its contract with the National Nuclear Security Administration, the U.S. Department of Energy agency that oversees Y-12 work. There doesn’t appear to be significant case law that could guide Thapar’s sentencing of the Y-12 protesters. The judge said one case in 1986 from the Eighth Circuit, which includes states from Arkansas to North Dakota, imposed strict sentences, and neither Congress nor the sentencing commission have changed the guidelines. But two other cases elsewhere resulted in reduced sentences, he said. The protesters and their supporters have argued for leniency, claiming among things that the protesters exposed security flaws at Y-12 and are working to prevent greater harm from the potential use of nuclear weapons. The protesters, who dubbed their operation at Y-12 Transform Now Plowshares, have said they were religiously motivated, and their actions were intended to symbolically disarm the 811-acre plant, which was built during World War II to enrich uranium for the world’s first atomic bombs as part of the top-secret Manhattan Project. Rice’s attorney, Knoxville lawyer Francis L. Lloyd Jr., said his 83-year-old client has served most of her life as a sister of the Society of the Hold Child Jesus, a Roman Catholic order. “Her conduct in this case was motivated by her unshakeable conviction, based on her studied and devoted understanding of Christian principles of nonviolence, that nuclear weaponry is inescapably evil,” Lloyd said in a sentencing memo filed Jan. 14. Snow on Tuesday afternoon delayed the sentencing for the three anti-nuclear weapons activists who cut through fences and vandalized a uranium storage building at the Y-12 National Security Complex in July 2012. However, prosecutors have argued that the security breach significantly disrupted Y-12 and interfered with the national defense. In addition to the two-week shutdown of nuclear operations and the damage to Y-12’s reputation, a secret shipment of materials that had been scheduled to arrive the day of the intrusion had to be delayed, prosecutors and government witnesses said. During his testimony on Tuesday, Johnson countered any suggestions that the July 28 security breach is the only reason security has improved at Y-12. Just a few weeks before the breach, the NNSA had set up a new production office to oversee work at Y-12 and the Pantex Plant near Amarillo, Texas, Johnson said. He said he thinks he would have identified security gaps after arriving at Y-12, and the structural changes at NNSA, which were new at the time, would also have uncovered the need for improvements. Tuesday’s postponement frustrated dozens of supporters who attended the sentencing hearing in Knoxville, traveling from 20 states as far away as Alaska, California, Maine, and Washington as temperatures dipped into the teens. Some are fellow protesters and have themselves been arrested in acts of civil disobedience. Organizers said it could be difficult to reassemble a crowd as big as the one that showed up for Tuesday’s hearing. “It’s not going to be the same energy,” said Chrissy Nesbitt, a school teacher in Durham, N.C.
Michele Naar-Obed, right, wife of Y-12 protester Greg Boertje-Obed, is pictured outside the federal courthouse in Knoxville with protester Megan Rice during the May 2013 trial. Boertje-Obed’s wife, Michele Naar-Obed, said she wasn’t sure whether she would be able to come back to Knoxville from Duluth a few weeks from now. In the meantime, she said she is hopeful that the Holy Spirit will incorporate life-affirming principles into the legal proceedings. Read the government’s consolidated sentencing memo here: Sentencing Memo for Y-12 Protesters. Read the defendants’ response to the sentencing memo here: Defense Response to U.S. Sentencing Memo. Read a Megan Rice pleading related to the sentencing memo here: Sentencing Memo for Megan Rice.